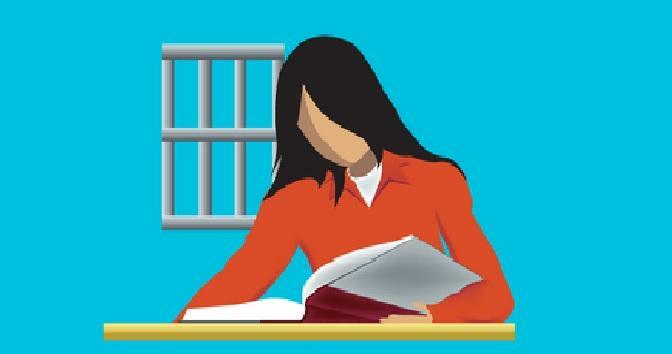 The booklet published by Exchange for Change, a writing program in South Florida prisons. They’re all dressed in the same blue prison-issued uniforms. Many of the men appeared nervous, their hands visibly shaking as they recited their personal prose from rattling pieces of papers — odes to victims of gun violence, frustrations about the criminal justice system and apologies to their mothers. 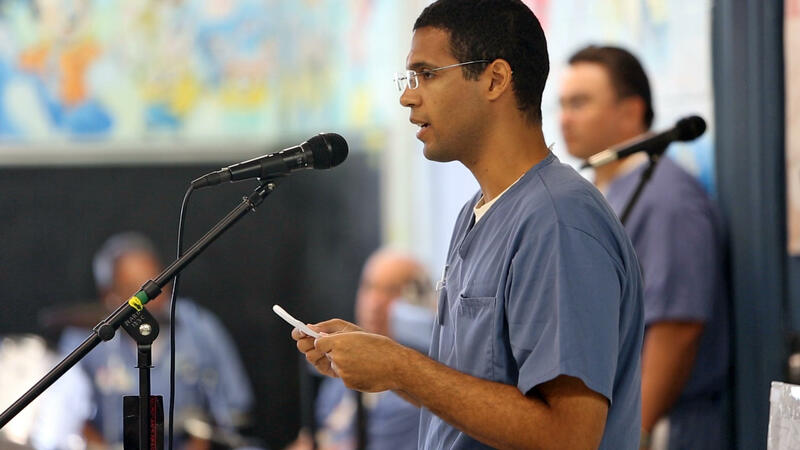 Several inmates wiped away tears as Martinez recited his poem. 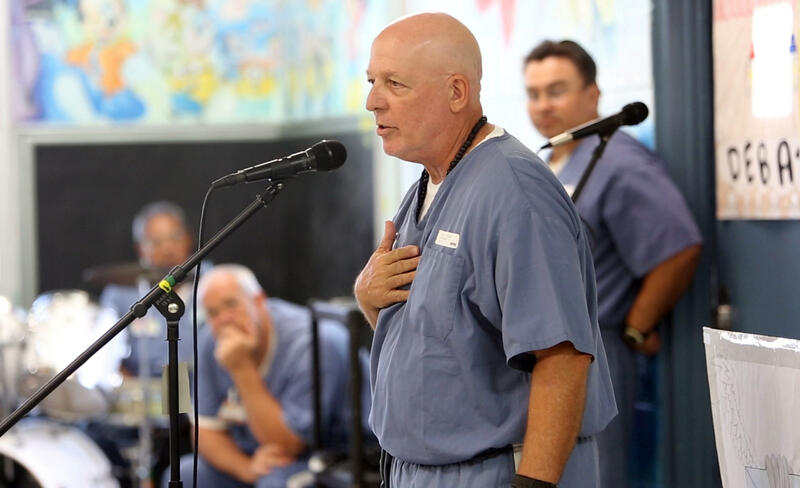 “This is a voice that surprised me, if it surprised me — I already work in the prisons — that voice is something that should also be known on the outside,” said Kathie Klarreich, director of Exchange for Change. 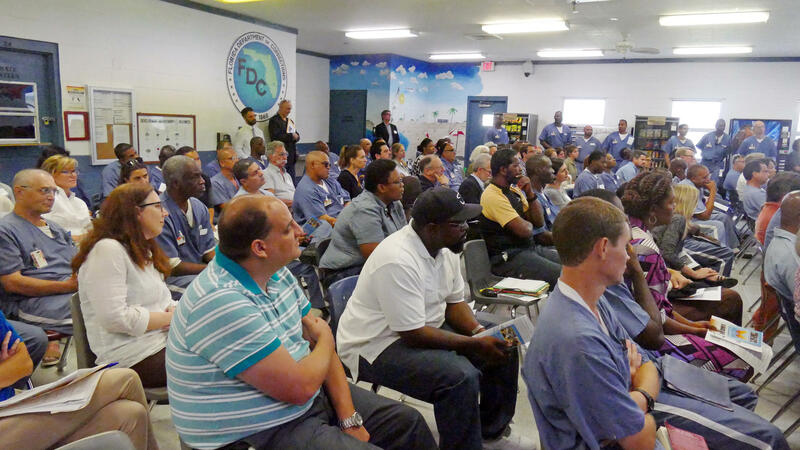 An audience of inmates and outsiders listens as Exchange for Change students recite their poems. She wanted to give them an option to share their work with their moms and people on the outside so she created the printed booklet. Exchange for Change recently held a graduation for the participants in the writing classes. “You don’t really understand the true perspective of prison until someone that you know or someone that you love is in here. And that especially goes for a mother,” said Allington "Dante" Dottin, one of the inmates. David Hackett recites his poem dedicated to his late mother. David Hackett, another inmate, said his mom died last year while he was behind bars. “Moms will always love you and it seems like sometimes that that’s your last line of support is your mom, so you know, moms are really important to us. And I miss her,” said Hackett. Eduardo Martinez looks on as his fellow Exchange for Change classmates read their poems. He said writing was therapeutic. “[The class] challenged me to express myself because I hold things in,” said Hackett. 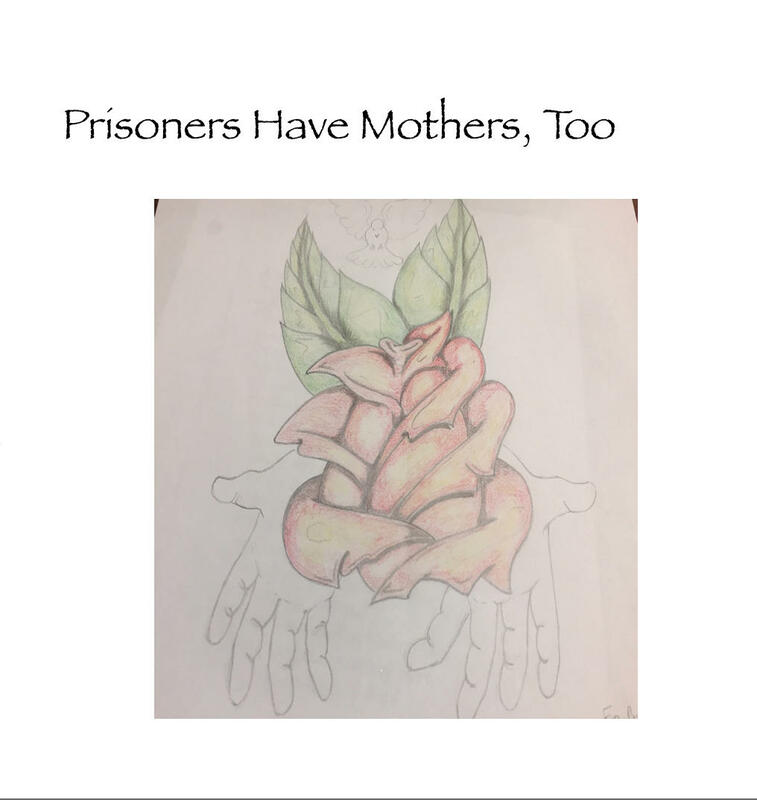 Klarreich, the writing instructor, said some of the inmates wrote about having difficult relationships with their mothers too -- moms who couldn’t be home a lot because they were holding down multiple jobs or moms who were in and out of jail. 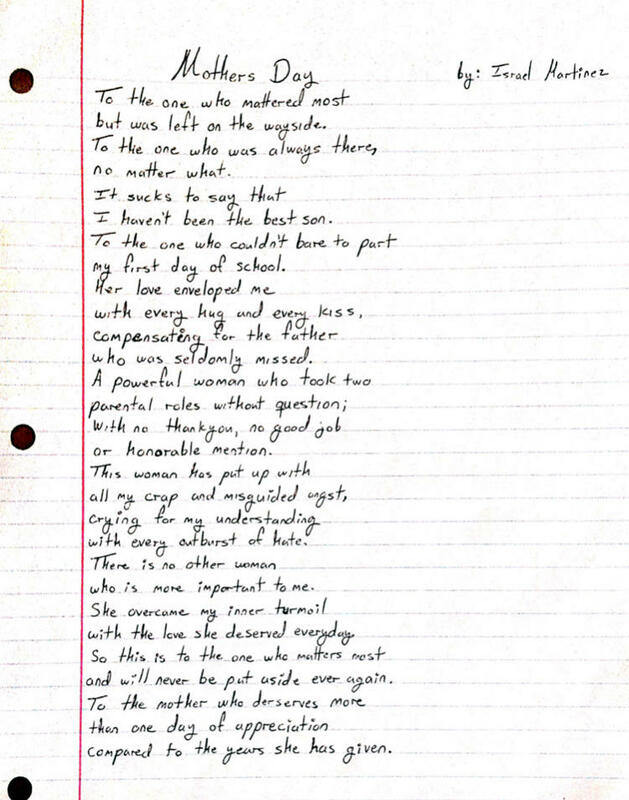 Israel Martinez's poem for his mom. Martinez, who wrote “Mother’s Day,” said before landing in prison he rarely went to see his mom, but when he was arrested, she was one of his regular visitors. He said the writing class was a safe environment for him to show his appreciation to his mom for sticking by him and to apologize for what he’s put her through. He’s says now when they speak, he touches on some the topics he writes about. “It has allowed me to be able to converse with my mother more freely and to not avoid touchy subjects even to the point where we’ve cried plenty of times,” said Martinez. His mom Hermi Dionisio could not attend the graduation, -- family members are not allowed -- but when reached by phone she said she’s proud of her son’s progress. “I’m very grateful that I’ve been an influence in his life and that he recognizes me as such,” said Martinez’s mother. 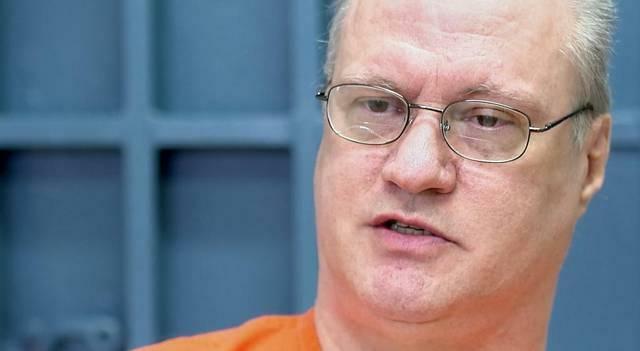 Death Row inmate Mike Lambrix has lost his appeal for a new sentence. Lambrix was one of the subjects in the WLRN documentary Cell 1, where we looked at Florida’s death penalty and the limbo it was in for more than a year. 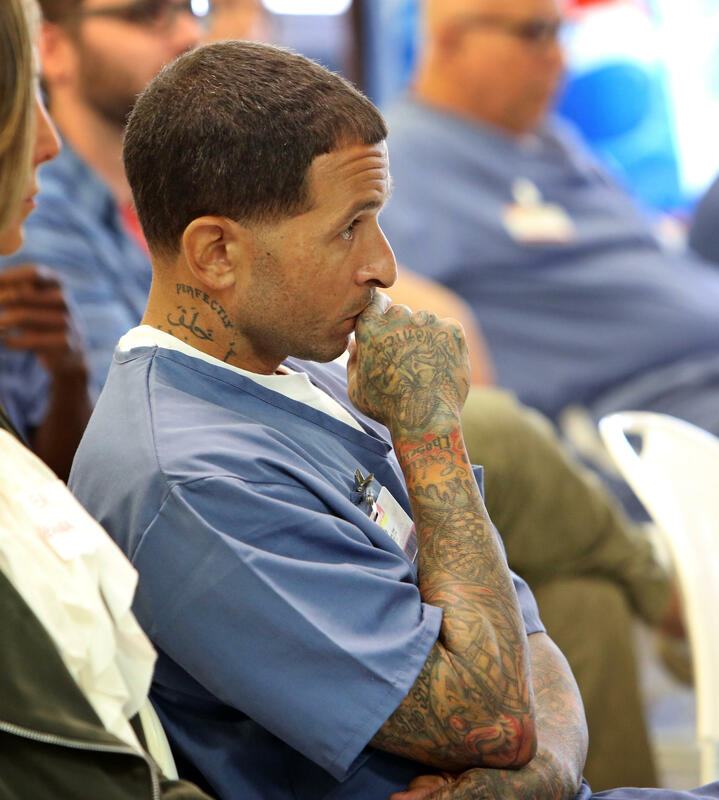 Will Convicted Felons Vote In Florida Soon? 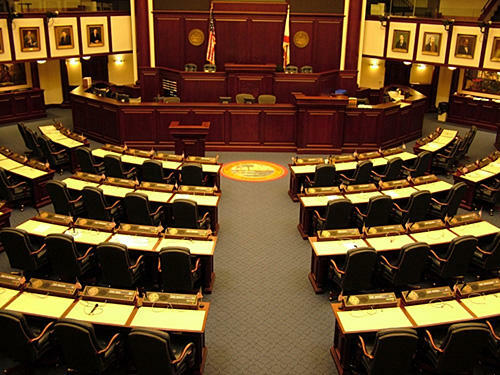 Will convicted felons be allowed to vote again in Florida after completing their sentences? That is the subject of a proposed constitutional amendment that could go to voters as early as the 2018 general election. 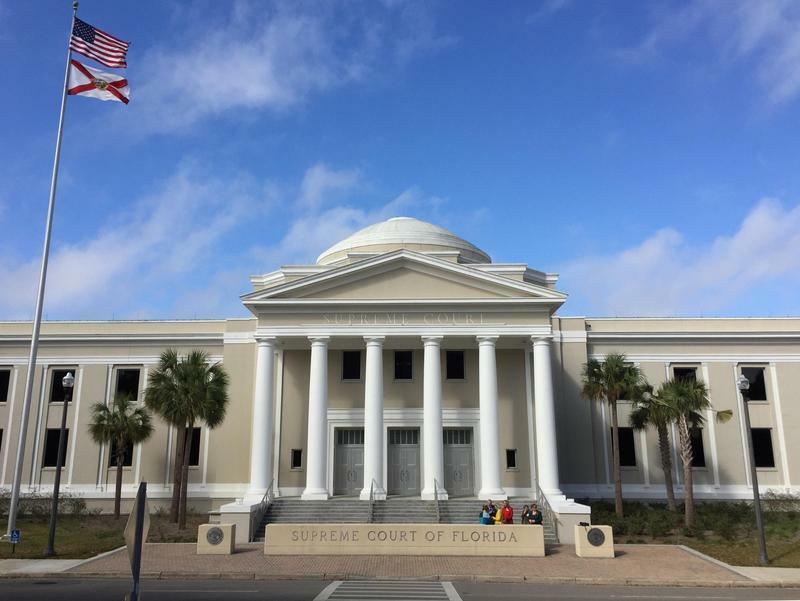 Monday, the Florida Supreme Court reviewed the language of that amendment, moving it one step closer to the ballot.